A new project has been launched to help road safety practitioners increase their understanding of autonomous vehicles and other emerging technologies. 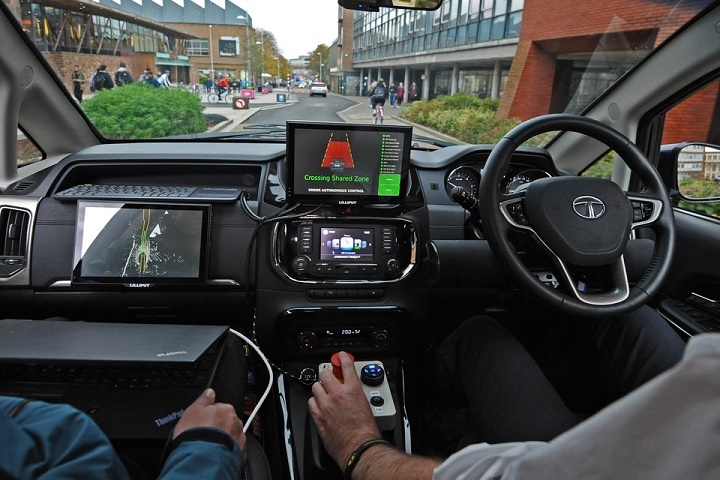 Building on the knowledge available through the work of the Centre for Connected and Autonomous Vehicles, the CAV Safety Hub has been set up to provide ‘valuable insights’ into how connected and autonomous vehicles (CAVs) operate and how they interact with other road users. The project is a collaboration between partners including RoadSafe, TRL and the Road Safety Foundation – who say that while practitioners are aware of the future development of CAVs, there is a ‘poor level of understanding of their likely contribution to improved safety’. The Government has repeatedly stated its commitment for the UK to be a world-leader when it comes to the development of automated vehicles. Trials of self-driving vehicles – without a steering wheel or human in control – could take place on UK roads later this year, under plans recently unveiled by the DfT. The code of practice for testing the technology is in the process of being updated, with the Government on track to meet its commitment to have fully self-driving vehicles on UK roads by 2021. The CAV Safety Hub aims to improve understanding of the effectiveness of advanced safety technologies – while ‘removing myths’ and providing ‘clear information through an interactive programme of awareness’. The project website provides information on policy and regulation, infrastructure and the potential benefits of CAVs – as well as the latest news and events relating to autonomous vehicles. More robust facts, information and evidence are welcome. However, perhaps some of the road safety practitioners that they say need to improve their understanding of AVs etc already have enough understanding to recognise that there is a lot of hype surrounding the technology. Potential strengths are being played up and weaknesses and potential pitfall downplayed. I wonder if AVs will become the 21st century equivalent of the “flying cars for personal transport” of the 1950s and 60s. They were expected to become ubiquitous too, were they not?